Fabulous blue houndstooth gift wrap. 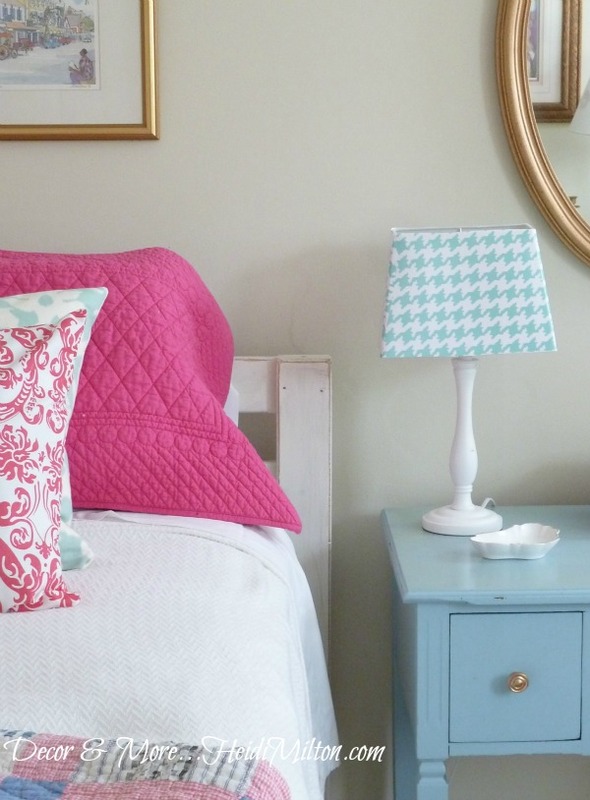 I knew it would turn up in my guest room makeover, but I wasn’t sure how at first. Then I found the perfect way to inject some modern into my vintage-y guest room when I spotted some plain little ‘ole lamp shades at Target. The price was right at $8 each, but this look just wasn’t cutting the mustard. 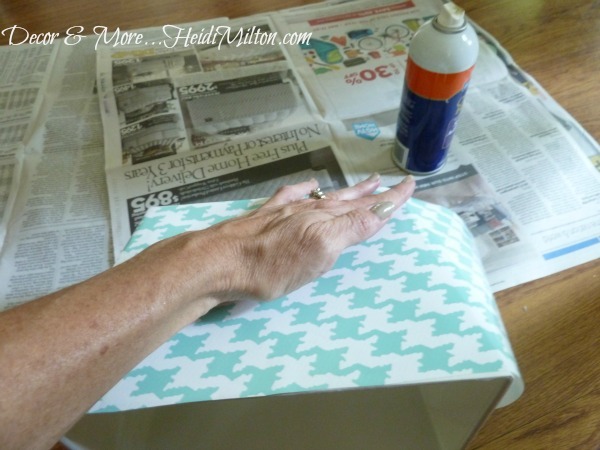 Gift wrap to the rescue! 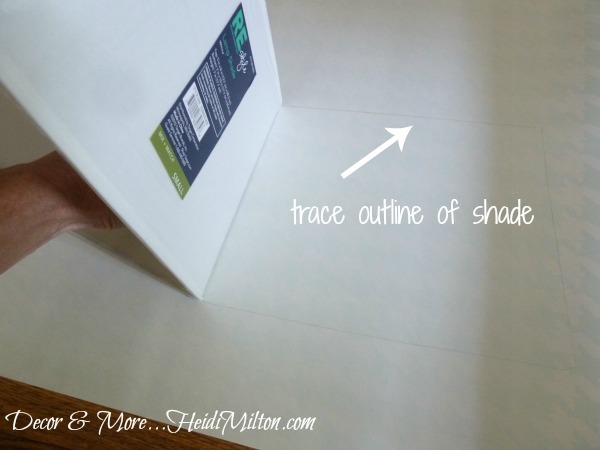 Step 1: Trace the outline of the entire shade, working side by side onto the back of the gift wrap. You want one continuous piece. Step 2: Cut out your piece of gift wrap. I made sure that one of the long sides of the shade would have the pattern working vertically or horizontally. You can see that the other sides will have the pattern on an angle. Step 3: Use spray adhesive to adhere the paper to the shade, working one side at a time, pressing as you go. I gently creased it as I worked around the corners. Step 4: Trim if needed. 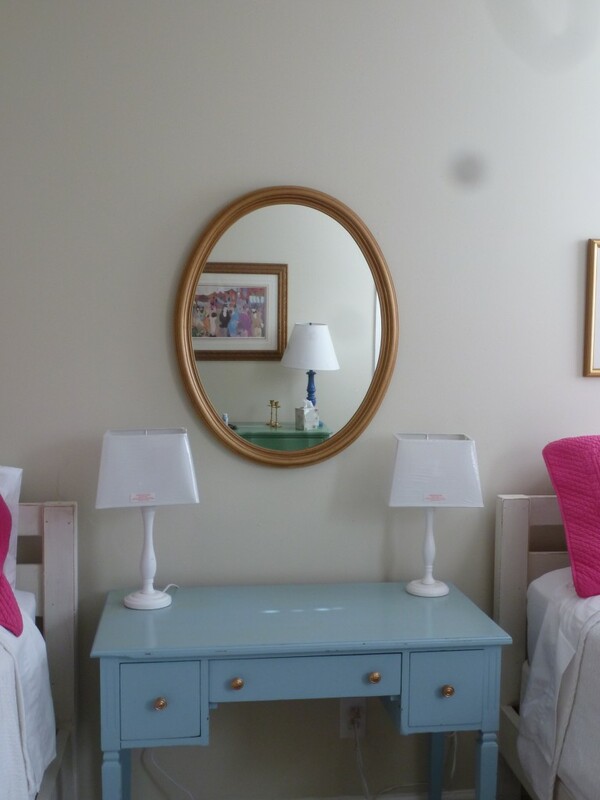 I absolutely LOVE the little touch this added to the guest room!! More guest room details to come… the hubs and I are off to Eufaula for a golf tournament today. He plays, I just ride along and sip a beverage for the practice round, and then enjoy the festivities. Tough work, but someone has to do it! 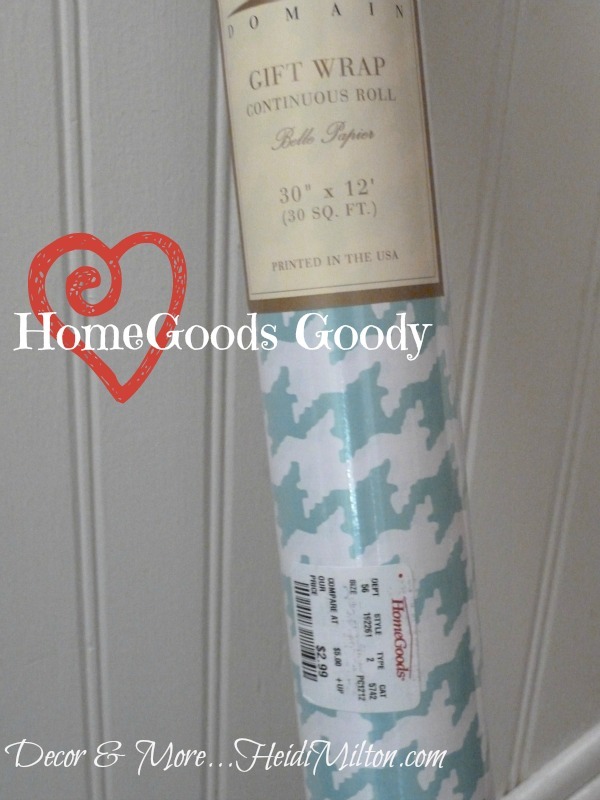 For more decor ideas for your favorite gift wrap, check out this post. Looking good. Every time I read the words ‘guest room’ I have the urge to sing Be Our Guest from Beauty and the Beast. 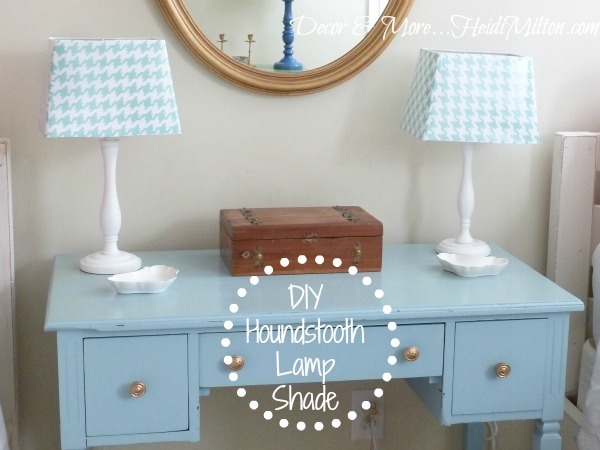 Very clever use of the houndstooth paper! I’ve been infactuated with all the different wrapping papers out there too. Your lamps turned out great! 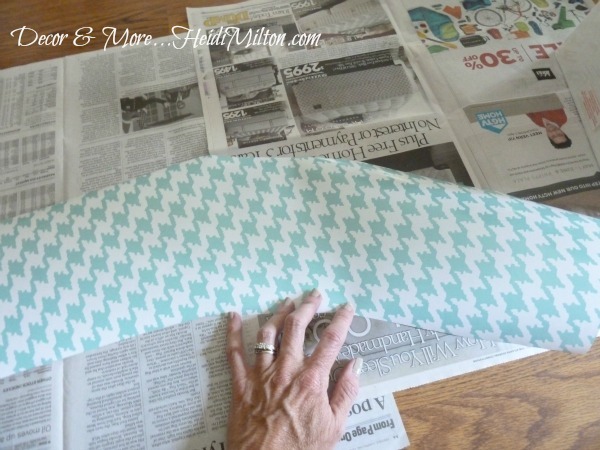 I have the same wrapping paper – what a great idea for the shade! Hope you enjoyed your leisurely day of golf!